Replacement: None. We are no longer carrying this sensor but have a look at our other accelerometers. This page is for reference only. Breakout board for the Analog Devices accelerometers in the E8 package. 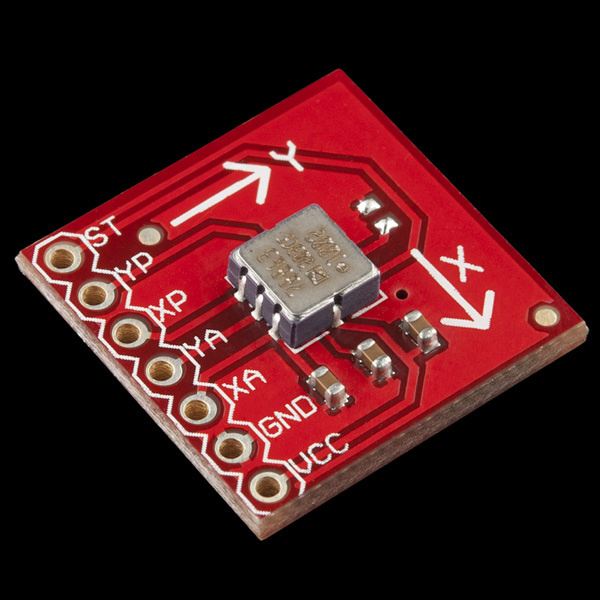 The ADXL203 is a solid state MEMS accelerometer with Analog output. The ADXL203 can measure both static and dynamic acceleration. This means the ADXL is suited well for sensing tilt (used in many Glove / Air Mouse applications) and for sensing brute acceleration (rocketry and general motion sensing applications). Please refer to the datasheet for more information. Analog output sensors require a microcontroller that has an analog to digital converter (ADC). 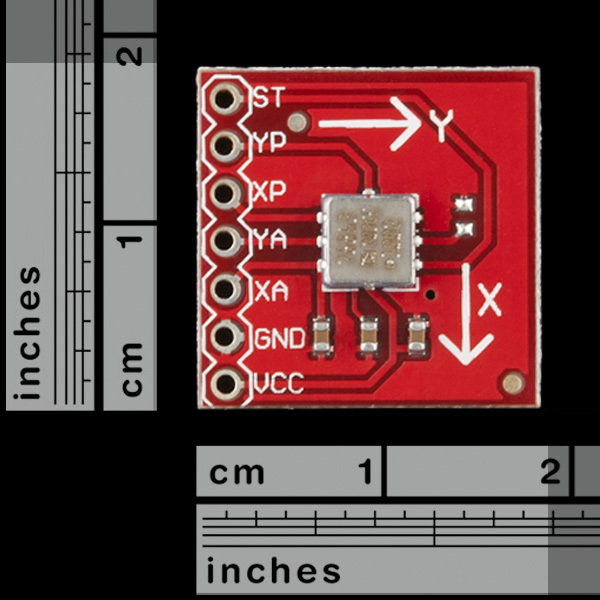 Board comes fully assembled and tested with ADXL203 sensor, 0.1uF filtering capacitors. is this Breakout Board only ?? Elamin: is this Breakout Board only ?? 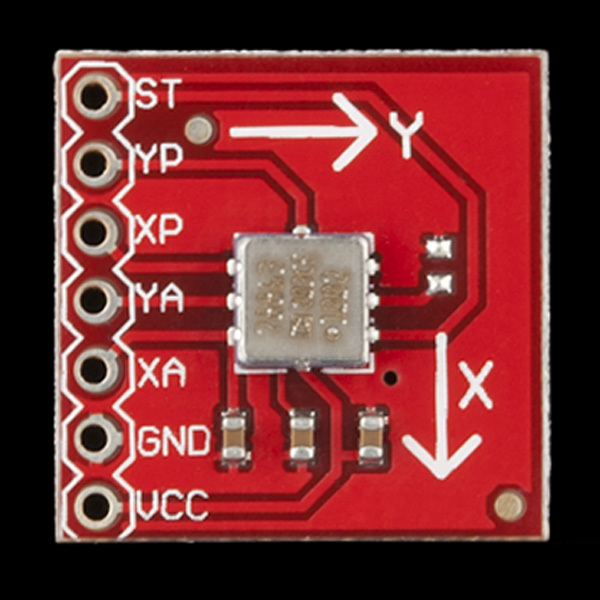 "Board comes fully assembled and tested with ADXL203 sensor, 0.1uF filtering capacitors." Can I use it in double axis tracking system? Are you guys planning to get this item back in stock sometime? anytime?